Lawyers for both sides are expected back in court for a hearing to determine whether the university’s policy for billing this and other such events are constitutional. A federal judge on Friday blocked the University of Washington from billing the College Republicans an estimated $17,000 security fee for a campus rally Saturday on grounds that doing so would violate free-speech rights. 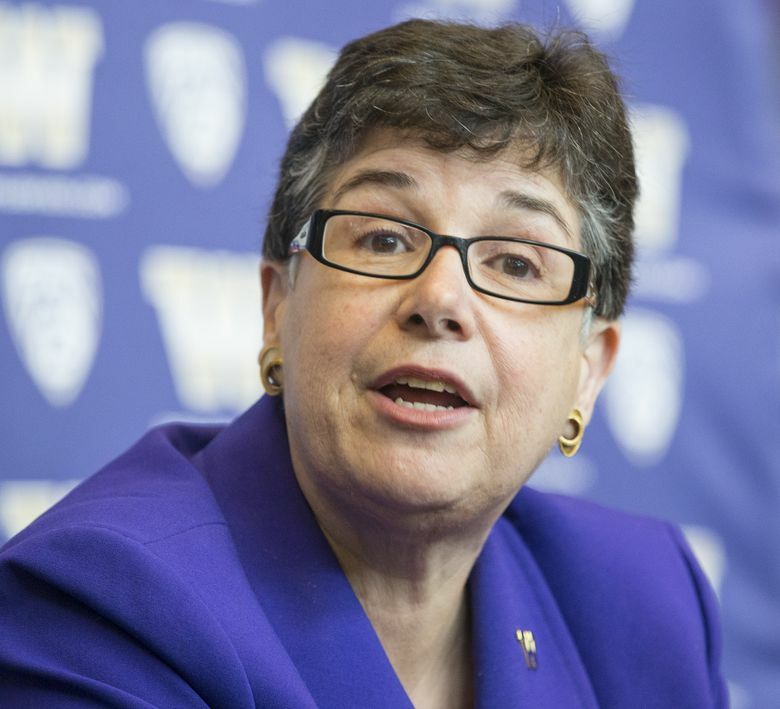 “The guidelines of how the bill was calculated runs afoul (by) chilling speech,” U.S. District Court Judge Marsha Pechman said after saying she would issue a temporary restraining order against the UW. After the student Republican group holds its event, lawyers for both sides are expected back in court for a preliminary injunction hearing to determine whether the UW’s policy for billing this and other such events are constitutional. College Republicans have invited the Vancouver, Wash.-based group Patriot Prayer to speak in Red Square at 1 p.m. The club bills it as a free-speech event. A number of student groups are planning to stage counterprotests. Cauce’s post also said that several other campus groups have canceled and postponed events Saturday out of precaution. But the College Republicans’ event wouldn’t be canceled, she said, because law enforcement had advised Cauce the groups likely would show up to the campus anyway. “I encourage you to avoid Red Square, and the surrounding area from 8 a.m. to 5 p.m. on Saturday to ensure your own personal safety,” her note added. On Tuesday, the Republican club sued the UW over the $17,000 fee the UW sought to charge the group to staff the event with UW police. The suit described the fee as “draconian and unreasonable,” and College Republicans asked the federal court to issue a temporary restraining order barring the UW from charging the fee. The fee was only an estimate of the UW’s security costs; the group had yet to be invoiced. Lawyers for both sides argued the issue during a telephone conference call with Pechman broadcast into the judge’s federal courtroom Friday morning in Seattle. Becker, whose nonprofit Freedom X law and advocacy firm touts itself as a protector of “conservative and religious freedom of expression,” contended the UW’s practice of assessing fees for security unfairly discriminates against certain groups by assessing fees based on what “the listener’s reaction” will be to event speakers. “The policy that is currently in effect treats some groups more favorably than this group,” he said. Paul Lawrence, a senior partner with the Pacifica Law Group in Seattle, argued on behalf of the UW, saying case law has established that government entities can assess and charge fees for use of facilities and additional security costs incurred for such events. “Here, there’s a real threat of security based on evidence of past Patriot Prayer events in the Northwest,” Lawrence said. A Patriot Prayer rally last August in Westlake Plaza drew hundreds of anti-Trump and anti-fascist counterprotesters, with Seattle police keeping the two groups separated amid heated rhetoric. There were three arrests. The UW has experienced violent outbreaks during past events with conservative speakers. In January 2017, the Republican club hosted a speech by political provocateur Milo Yiannopoulos in Kane Hall. Fights broke out on Red Square between Yiannopoulos supporters and counterprotesters, and one man was shot. Security for the event cost the UW more than $20,000, plus an additional $53,000 for Seattle police. The UW’s security fees for such events have ranged from hundreds to thousands of dollars, Balta said. The fees are set on a case-by-case basis, using a number of factors, including “an analysis of violence and threats to public safety by the invited speaker, attendees at previous events or the sponsoring group — both in and out of the state of Washington — as well as the date, time and location of the proposed event,” he said. Lawrence argued Friday that because the UW was allowing the College Republicans event to take place, and its practice isn’t to penalize groups for not paying their event fees until 60 days after billing, a temporary restraining order wasn’t necessary. He said there would be plenty of time to settle the fee dispute in court after the event. “There’s no potential loss of First Amendment freedoms here; the event is going on tomorrow,” he said. But Becker countered that “even the threat of the enormous security fee is enough to chill speech.” He noted the College Republicans student group can’t afford to pay such a high fee and considered canceling the event because of it. Under the UW’s billing policy, Becker contends conservative groups’ events are unfairly taxed because they draw protests, while liberal events that don’t elicit opposition are charged much less. Pechman’s restraining order applies only to the billing of Saturday’s event. A hearing date on the injunction being sought by the student group against the UW’s broader billing policy had not been set as of Friday morning.